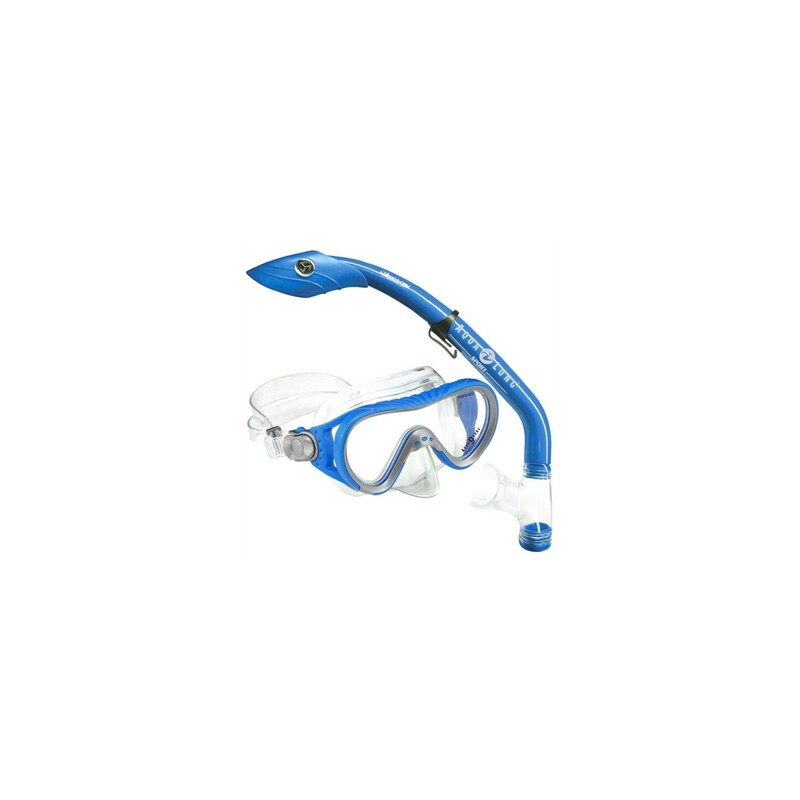 Coral 1 LX Jr. & Island Dry LX Jr. 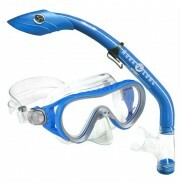 The Coral 1 LX Jr. is a top quality single lens mask with silicone skirt, swivel buckle, and quick release push buttons. 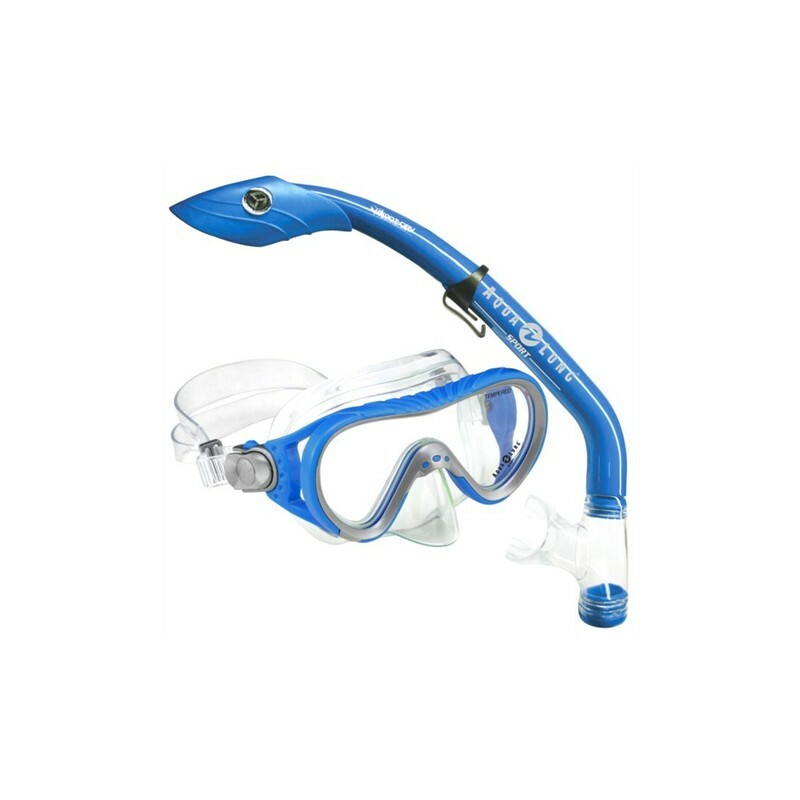 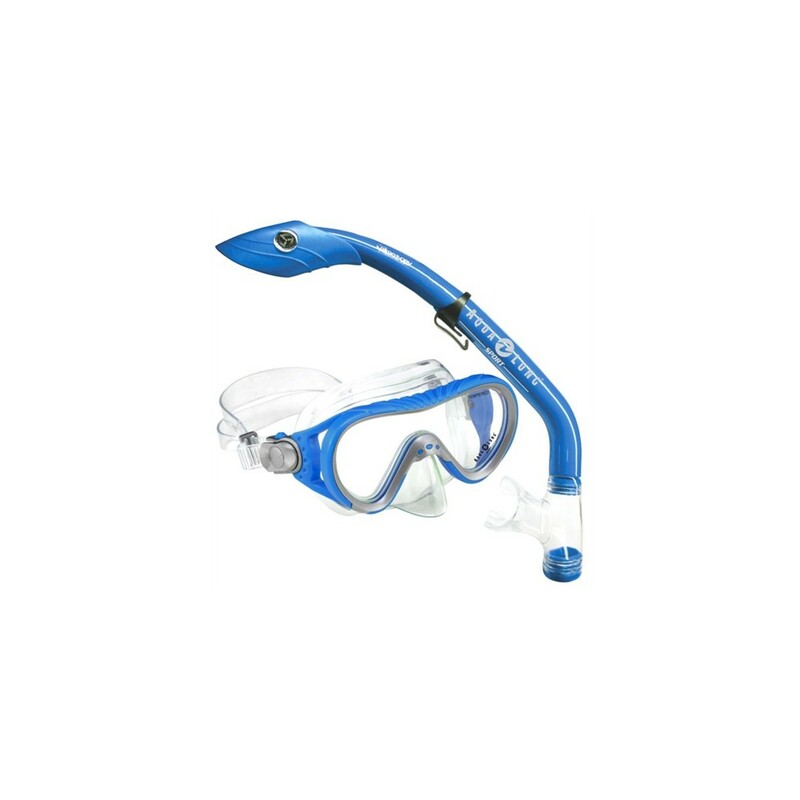 The Island Dry LX Jr. Snorkel has pivot dry technology, flex tube, silicone mouthpiece, and purge.